Looking for Data Analyst interview questions for freshers and experienced? You have reached the right place! One of the promising and lucrative big data career today is the position of a data analyst. 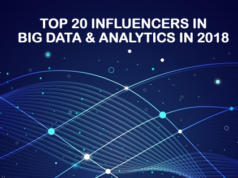 Data analytics industry is dynamic, and it has widened the scope for data analysts with a high packaged job and a steep career growth. It is forecasted that tech giants are going to recruit more than 700,000 data analysis professionals by 2020. And if you are on the same track and preparing for the data analyst job interview, then you must be well aware of the core areas that a recruiter must check to ensure whether you have the proper knowledge on those areas. Hence, you should be focused on the related data analyst interview questions which are focused on those areas related to your job position level. And if you are not sure how to categorize them, then you are in the right place! In this blog, we are going to discuss some of the best data analyst interview questions and answers. 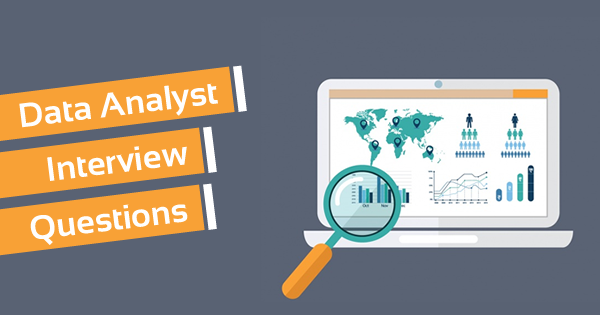 While going for a data analyst interview as a fresher, you need to prepare yourself with the basic and fundamental data analyst interview questions. Here we’re enlisting data analyst interview questions for freshers with detailed answers. 1. How do you define the primary responsibilities of a data analyst? Suggesting and forecasting based on statistical analysis of data. To generate business reports using the raw data. Sourcing data from different data sources and harvest that in the database. Coordinating with the clients and stakeholders. Identifying new areas of improvement. 2. What are the required skills for a data analyst? Strong analytical skills in big data. Strong hands-on experience in reporting tools, ETL frameworks, programming languages like XML, relational and non-relational databases like SQL, HBase, etc. Robust understanding of statistical tools like SAS, SPSS to analyze large datasets. 3. What are the steps followed in a standard data analyst project? 4. What are the different types of tools data analysts use during a complete project life cycle? 5. Why is data mining a useful technique in big data analysis? Answer: Big data Hadoop is a clustered architecture where we need to analyze a large set of data to identify the unique patterns. The patterns help to understand the problem areas of business and establish a solution. The data mining is a useful process to do this job. Hence, it is widely used in big data analysis. 6. What is Data Cleansing? Answer: Data cleansing is the process to identify and remove inconsistencies and errors from data to enhance data quality. Answer: Logistic regression is one of the statistical methods used by data analysts to examine a dataset where a single and multiple independent variables define an outcome. 8. What is Data Profiling? Answer: The data profiling is a process to validate the data already available in an existing data source and to understand whether it is readily used for some other purposes. 9. What are the different data validation methods which are used by data analysts? 10. What is Data Screening Process? Answer: The data screening is a part of the data validation process where the entire set of data is processed by using various data validation algorithms to verify whether the data has any business related issues. 11. Explain your understanding of the K-mean algorithm? Answer: The K-mean algorithm is used for the data partitioning in a clustered architecture. In this process data sets are classified through a certain number of clusters (for example k clusters). Here objects are divided into several k groups. 2. The spread or the variance of the cluster is almost similar. 13. Explain the Hierarchical Clustering Algorithm. Answer: Hierarchical clustering algorithm is the process to combine and divide existing data groups to create a hierarchical structure out of that to represent the order in which the groups are merged or divided. 14. What is Time Series Analysis? Answer: Time series analysis is a process to forecast the output of a process through the analysis of the previous data using various statistical methods like log-linear regression method, exponential smoothening, etc. It can be performed in two domains – time domain and frequency domain. Answer: Collaborative filtering is an algorithm that helps the user with a recommendation based responses based on the behavioral data analysis. 16. What is clustering in data analysis? Answer: The clustering in data analysis defines the process of grouping a set of objects based on specific predefined parameters. This is one of the industry recognized data analysis technique especially used in big data analysis. 17. What is the imputation process? What are the different types of imputation techniques available? With the generation of Big Data, the more opportunities are arising in the field of Data Analytics. 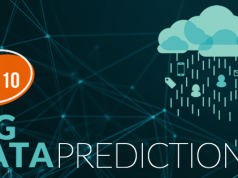 Read our previous blog to learn more about the Big Data Analytics importance. Answer: An n-gram is an adjoining sequence of n items from a sequence of speech or text or. It is a kind of probabilistic language model to predict the next item in the sequence following the form of (n-1). 19. Mention few of the statistical methods which are widely used for data analysis? If you have gained some experience in Big Data Analytics and preparing for your next interview, this section of Data Analyst Interview Questions for experienced will help you in your preparation. Let’s go through these data analyst interview questions. 20. What is your perception of a good data model? It should be adaptable if the requirements are changed. 21. Tell me the common problems you face as a data analyst? 22. What are the best practices for data cleaning? To clean large datasets stepwise. Using scripts/tools/functions to handle the common cleansing task. 23. What are the missing patterns which are generally observed in data analysis? 24. What should you do with suspected or missing data? We can prepare a validation report that will provide information on all missing or suspected data. In the report, we must provide detail information like which validation fails with date time stamp. Using best data analysis techniques like single imputation, deletion method, model-based methods, etc. to work on missing data strategy. 25. How do you deal with the multi-source problems? Hope the data analyst interview questions mentioned above will help you to prepare for the data analyst job interview. However, if you are an aspiring data analyst get yourself acquainted with at least one of the popular tools for data scientists. You can proceed with Spark Developer Certification (HDPCD) and HDP Certified Administrator (HDPCA) Certification based on Hortonworks Data platform. 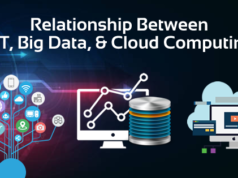 Whizlabs is successfully assisting aspiring candidates with the certification training that will give you comprehensive guidance, both theoretical and hands-on to pass the big data certifications. So, combine your study with our data analyst interview questions and training and build your Big Data Career! Have any questions/concerns? Just write in the comment section below or submit at Whizlabs helpdesk, we’ll respond you in no time. very useful article for the data analyst/scientist job applayer..thank you for the information..